On the first Sunday evening of every month at 6:30 p.m., there is a Service of Healing Prayer and Evening Praise. All are warmly invited to attend and participate, and also to bring others who feel aware of their need for healing prayer. Healing prayers also continue to be offered at the Thursday morning communion service. 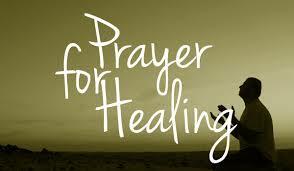 Many at St Giles have benefitted from healing prayer offered by our ministry / healing team..
Members now include: Chris Coyle, Ailsa Chapman, Judy Crowson, and John White. All have attended Diocesan training — most recently a weekend at the Crowhurst Christian Healing Centre. All have been confirmed in their ministries by the Archdeacon, and work under Matthew’s guidance — observing the highest standards of confidentiality. The ministry of healing at St Giles is grounded in intercessory prayer. As individuals, we each stand in need of healing prayer. This can be either for ourselves or for another person or situation. The healing of relationships, of divided communities and nations, and of the earth itself have their place alongside the healing of broken bodies, hurt minds, and wounded hearts, and of the divisions within ourselves. So too, our healing prayers are complementary to the work of medicine, and other forms of healing which are also channels of God’s love. There will be an opportunity in the monthly service of healing for those who wish to come forward to receive prayer with the laying on of hands and anointing with oil — a sign of God’s loving purpose of wholeness for each of us. When in special need, our first resource is one another. By coming to know a few church members well, we become able to pray for and support one another in times of illness or need. We can also request healing prayers for ourselves or others by asking to be included in the Pew Sheet list for healing prayer. This is updated each week. To make a request please call Liz Diamond (01689-853471). Also, please do let us know when you leave hospital or your health improves. All of us can support the healing ministry by praying for those on the prayer list and for others known to us who are in special need of prayer — and in some cases by visiting them. If anyone becomes homebound, a visit can be requested from one of our Pastoral Assistants who can administer the sacrament, by a Pastoral Visitor, or by Matthew, our Rector, by ringing the Church Office (01689-853471) or the Rectory direct line (01689-856931). Like the Prayer Ministry Team, the Pastoral Assistants and Pastoral Visitors have received training and have been confirmed in their roles through the diocese.